Home Hidden Category Eve's Picks Marketing: What Are You Best At? When people talk about “marketing,” they often get focused on one aspect, such as “branding.” However, marketing is so much more than that. There are literally more than a hundred different aspects of marketing and specialists in each. So it’s not just about the branding, it’s about the whole story. And before the story, it’s about the research into what the customer needs and wants. Figuring out what you do best to solve the need and creating a compelling story around it, with a strategic and tactical plan including all aspects of marketing which will cause someone to “want” to buy your product or service. When I work with small to mid-sized companies they often say “we need marketing” without any real idea what that means. 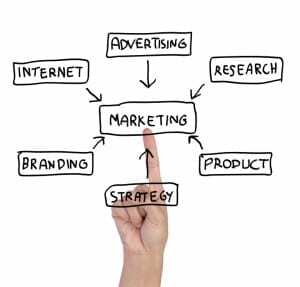 A marketing consultant will come along and do a beautiful rebrand, (which is where they usually start), and then leave behind a new look and feel, but the company doesn’t know how this will or should translate into sales, and whole marketing budget has been spent in the process. What usually happens next is the company says “well, that was a waste of time” and then slashes the marketing budget to almost nothing and moves on. Where I usually start when talking with a company that recognizes they have a marketing challenge is, what story are you trying to tell? What is it that only you do? Or that you do better than anyone else? What about how you solve a problem is unique to you? Good customer service is NOT it. Everyone can say they have excellent customer service or a superior product, (why would you say otherwise), but few really can pick what it is that they do that is unique. If you can identify this, with one of the four standard “positions,” – Best, Most, Only or First – (described in depth in this month’s free chapter download from Putting Together the Entrepreneurial Puzzle), and tell the story around that, you have half the battle won. This is your unique story. You do not want to be like everybody else. You want to be the solution to the problem and that will make customers buy your product or service vs. someone else’s. Once this story is written, is compelling, and you have branding to match, then you can move on to all the other aspects of marketing. What really helps is to have a Marketing Director, (inside or outsourced), that can make all the appropriate resources available to you e.g., web designers and developers, PR professionals, email marketing specialists, social media specialists, etc. You will usually not need any of these people on a full-time basis, what you need is someone who can mange the “project” of marketing for your company. A good marketing project manager will pull the levers and find the talent you need to implement the right solution at the right time. Your job as CEO is to find this talent and get out of the way. Don’t scrimp on the marketing budget, (it’s like going to Wal-Mart when you need to look like Sak’s 5th Avenue), and be sure to keep the big picture of marketing focused on telling the story of what your company does best, and why.